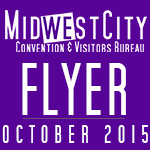 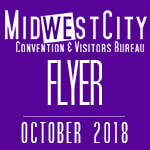 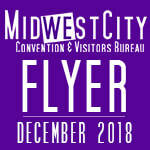 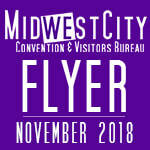 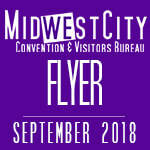 Welcome to the archive of our e-newsletter, the Midwest City Convention & Visitors Bureau Flyer! Stay up to date with what's going on in Midwest City right now, with our calendar of events. For more information, contact us at (405) 455-1818 or fill out our online form.